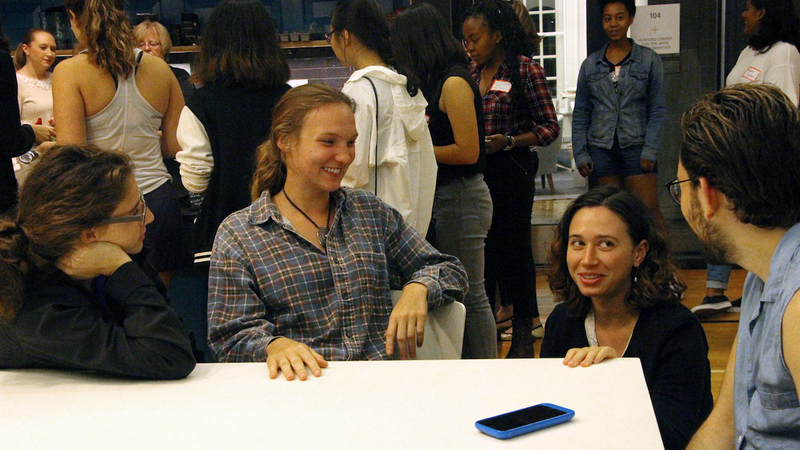 Students and alumna, Rebecca Fisher '18, co-founder of Beyond the Bell Tours at the She Started It: Women in Entrepreneurship event. Co-sponsored by Bryn Mawr, Swarthmore, and Villanova University. Throughout the year HIP provides a series of extra-curricular programs and workshops with a focus on human-centered design and problem solving, developing innovation and entrepreneurial frameworks. These opportunities encourage and allow for interdisciplinary collaborations inviting exploration, discussion, testing, and iteration - skills students can use to move innovative endeavors forward. As students or groups look to paths of implementation, this workshop series addresses fundamental entrepreneurial skills and culminates with a planning document to move ideas beyond campus. Applied learning or learning by doing is a catalyst for inspiration in hands on projects and hackathons throughout the year. In addition, HIP student are encouraged to attend off-campus conferences supporting their interests in the context of innovation. 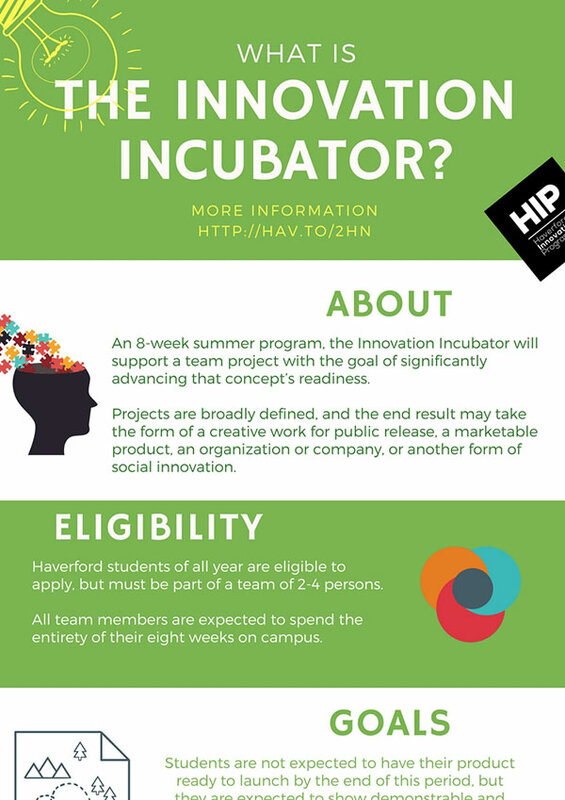 Collaborations with Haverford Centers and academic departments highlight innovative non-profits, social entrepreneurship, and innovation models in the Philadelphia area and surrounding community. Contact HIP Student Group for more information about attending. Interested in improving your communications skills while having fun? Need to work on your elevator pitch for your research/thesis project? Sign-up for the Improv Communication Workshop taught by Philly Improv Professional Ralph Andracchio! Seniors working on thesis research are especially encouraged to sign-up. Spaces are limited! You must sign-up to attend. If you are interested in participating or have any questions please email mlatrick@haveford.edu. This event is sponsored by the KINSC and HIP. Founder Feedback sessions give students the opportunity to speak with founders in the profit and non-profit sectors to hear more about an industry, entrepreneurial work, or to gain feedback and next steps on an idea or project. This sessions follows the event "Prototype: a feminist maker space" from 4:30–6:00 p.m. in the VCAM Screening Room. Apply to attend this event by writing a short paragraph of interest due by Monday, October 29 at 11:59 p.m. This workshop will offer an introduction to Project Management focusing on the value of having a project manager mindset - even if you’re not a Project Manager. 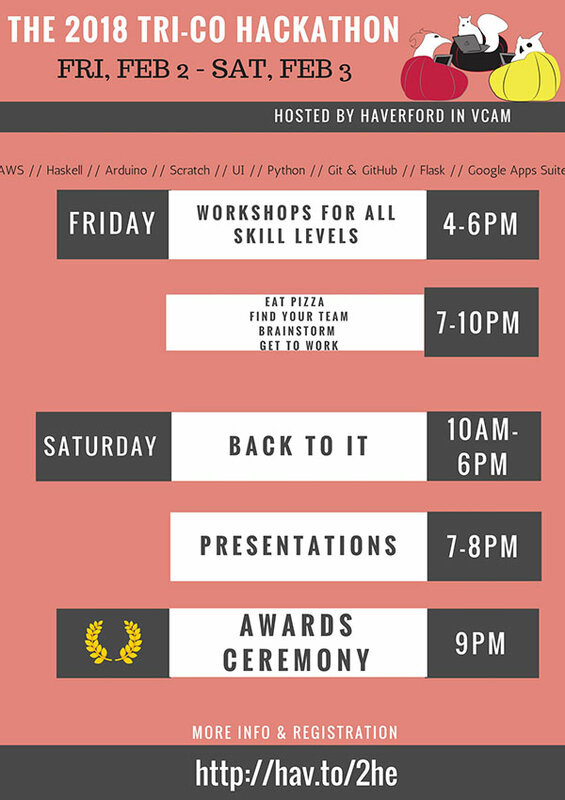 We will cover common project management approaches, tools, tricks and the soft skills that bring it all together. If you are guiding projects, or working on personal or team projects, and/or work with project managers in an internship or job will benefit from understanding the role and how to apply these concepts to any type of project. During this 12-hour challenge, using principals from across Design Thinking, Lean Startup, and Startup Weekends, student teams will tackle a social problem then develop and test a potential solution along with building a financial model for business sustainability. A theme and supporting materials will be available, but students may also bring their own ideas to work on through the weekend. More info to come.